As a mom, it’s a terrifying moment when your child comes home from school one day scratching their head. Classrooms are breeding grounds for the white, itchy, bugs that give us all the heebie-jeebies: Lice! Despite all of a parent’s best efforts, the icky truth is that it can happen to your kids. Here are some helpful tips and tricks to combat these little critters. Head lice are transmitted by crawling from head to head or through sharing things like hats – they can’t jump or fly, as the six-legged lice have no wings. Why treat lice when you can prevent it? Here at Cartoon Cuts we have excellent prevention products. 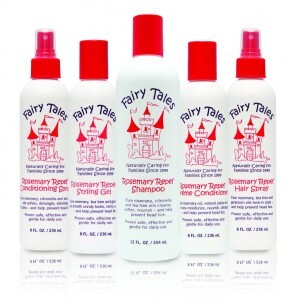 Fairy Tales (4 layer prevention) – Shampoo, Conditioner, Leave-in conditioner, Hairspray. Original Sprout has tree tea and lavender components in all their products which are great for lice prevention. Be sure to check out our lice prevention blog post for even more tips on avoiding these pesky critters! Both products are non toxic, pesticide free products proven to eliminate both lice and their eggs (nits). These head lice treatments must be applied to all parts of the hair, ideally with great tension, doing it in sections and applying it close to the scalp. No head lice product or insecticide currently kills all eggs, but is likely to kill the live lice. 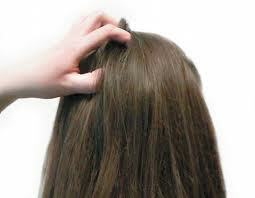 A complete getting rid of head lice management consists of two treatments, a week or so apart. The first treatment kills the climbers, and the second kills the juvenile lice hatched from the eggs over the intervening week. You must remember lice have claws on their legs, which make them perfect for holding on to human hair – fortunately the critters cannot live for more than one day off a human head. Insecticide resistance in head lice is common, but it can be detected by assessing the effect of treatments. If live lice are found in the combings after treatment that has been correctly applied, the head lice are resistant to the product used. After 20 minutes, use a fine tooth comb, such as the Terminator comb, to comb the entire head of hair and then wipe the combings onto a tissue. This needs to be done at least twice and until little treatment formulation is visible on the hair. Examine the tissues and see if lice are alive or dead. Assess success of treatment and possible insecticide resistance. If all lice are dead, infestation is sensitive to product used. If some lice are inactive but alive, infestation may be partly resistant to treatment, but regard the louse population as “sensitive” if no lice are active. If some lice are active, infestation is resistant. Retreatment with same preparation for a third time in seven days. Use the conditioner and fine tooth comb technique between treatments. If conditioner is applied and then immediately combed out, the nymphs that have hatched will be removed. Do this at least twice in the 7 days between treatment 2 and treatment 3.